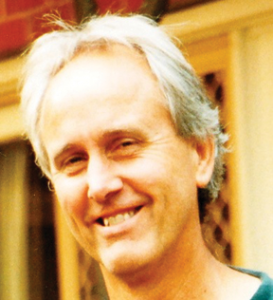 For the past thirty-five years Greg Jemsek has worked as a therapist, a leadership consultant, a university lecturer, and an author of his award-winning book, Quiet Horizon: Releasing Ideology and Embracing Self-Knowledge. Originally trained in the United States, Greg has spent the last 18 years working in Australia and New Zealand. A year ago he relocated to Ashland, where he now runs a private practice in a very powerful form of therapy known as Narrative Therapy. Initially developed down under, Narrative Therapy is a unique approach to examining an individual’s multi-storied life. The therapist and client work together to create the necessary “scaffolding” to explore not just personal history, but the social and cultural context of stories. Narrative encourages clients to examine their landscapes of identity in ways that often remind them of reading a good novel: exploring those landscapes across arcs of time, character development, and changing themes. The purpose of this exploration is not to focus on the client’s “problem”. It’s to discover the meaning the client places on various stories in his life. To recognize that whatever problems he is facing, his life has examples in it where he has acted outside of those problems. Instead of being an expert intent on solving the client’s problem, the therapist’s job is to find ways to access and explore client story lines where the client has shown initiative in constructing the life he wants for himself, and to then heighten his awareness of those unique outcomes through skillful questions and conversation. The result is that story lines which may have dropped from awareness or been thinly interpreted during the course of a client’s life are thickened, the client develops a greater sense of personal agency, and he can then choose to re-author his life in ways he may never have previously considered. We caught up with Greg to learn more about his work and experience with Narrative Therapy. Greg thanks for speaking with us today. To begin with, tell us a bit more about the foundations of Narrative Therapy. Narrative is really a post modern therapeutic approach. It’s based on 4 primary ideas. 1) Reality is socially constructed, 2) Language is the key tool we use in that construction, 3) Realities are organized and maintained through our narratives and, as a result, 4) There are no absolute truths out there. That may sound complicated, but in practice it’s very straightforward. What are the stories we are enacting in our lives? What stories have gone missing? What assumptions about life do our stories carry, and how are those assumptions impacting us? How do larger, societal narratives affect our individual stories?” …and so forth. Can you give us a example of a basic story that someone might have, and how social and contextual factors might be affecting his individual story? Consider the example of a young black male in high school in a predominantly white community who’s been suspended from school for fighting. He comes to therapy to talk through his situation and he might immediately assume that the task ahead of him is to focus on what he did wrong and what problems it’s caused. A narrative approach would encourage a broader therapeutic perspective, one that would consider questions such as these: What are the social contexts operating here: in the school, in the home, at work? How does the story of the fighting connect to those contexts? What identity decisions has this young man made that reflect the beliefs he has about the world? In doing this it’s important for the therapist to recognize that he can’t assume which particular social contexts are dominant, and that conventional interpretations of social contexts often don’t apply. He has to make sure he understands the client’s perception of these things. For example a therapist might prematurely conclude that a minority black male acting violently is doing so because he’s been subjected to certain prejudices at school or in the community. That may be so, but it may be much less important than the fact that the client’s dad is unemployed, or his sister has a disability, or that he has just moved here from Somalia. How are the different contexts this young man is in interacting with his psyche? Is there anyplace where he can just “be himself”? If a therapist ignores context, he runs the risk of eliminating the primary way a client defines himself. Why did Narrative Therapy capture your interest in the first place? What made you decide to study this method and base your practice on it? I’ve been interested in how abuses of power work ever since the political and cultural upheavals of the 60s and 70s. Among the first group of clients I ever worked with VietNam War soldiers returning from combat addicted to heroin. Their stories went well beyond the personal: the context of how the U.S. population was split in its attitudes about the war, the corruption frequently poisoning military and political decision-making, the attitudes the Vietnamese people had about what was happening to their homeland. I didn’t recognize it clearly at the time, but during those sessions I was making a commitment to myself to always include the surrounding context in whatever therapeutic approach I took. That’s not an easy decision to make in the highly individualistic culture of the helping professions in America. When health practitioners here think of how they need to operate professionally, they frequently get stuck in “pathologizing” individuals. From there they often assume that well-being will only come from the application of their “expert knowledge”. We’ve known for a long time that a large component of healing lies in the compassionate interaction between people, where the client has the opportunity to socially deconstruct and then re-construct his views of the world in a safe, creative, connected way. That reconstruction will activate self-awareness and initiative; it will allow an individual to consciously express greater agency in his life. But I had no idea how to incorporate context when I began my career as a therapist. For years, I scoured the therapeutic landscape looking for the right match between my personality and the best therapeutic frame to operate through. This meant that in addition to formal psychology and sociology training at university, I took workshops in every approach I could find that looked as though it had a piece of what made therapy work: Client centered therapy, Gestalt, Family Therapy, Psychodrama, Psychosynthesis, Hakomi, Re-evaluation Counseling,, the Institute of Radical Therapy, EMDR, Mindfulness-based Cognitive Therapy and others. That exploration was extraordinarily helpful, because every one of these methods contains thoughtful and powerful means of operating. Along the way, I got my MA in Consciousness Studies because so much of what heals a person comes from transpersonal sources: dreams, connections to nature and the land, psychic phenomena, mystical experiences, all the different states of consciousness we access through artistic pursuits. I wrote a master’s thesis (later expanded into a book, Quiet Horizon: Releasing Ideology and Embracing Self-knowledge) in which I deconstructed and then analyzed how easy it is to abuse power in ideological organizations. The culmination of all this education, writing, and reflection turned out to be my discovery of Narrative Therapy: it gave me a frame for my work which fit me like a glove. When I studied Narrative with co-founders David Epston in New Zealand and Michael White in Australia, I was simultaneously relieved and energized. I realized I had found the perfect vehicle to link my therapeutic orientation with my personal values: an approach that “de-centers” the therapist, that actively works with context, and that embraces the potency of story in much more than a clinical way. In your opinion, what is the most powerful aspect of Narrative Therapy? Narrative is brilliant at separating the problem from the person. As obvious as doing such a separation may sound in an interview like this, it’s one of the major – and more difficult – tasks a client needs to accomplish in therapy. If he does this, he’s likely to kick start his sense of empowerment and take his overall awareness up a notch. It doesn’t always work this way, but I’ve seen people get propelled into their life the moment this separation happens: more creativity, more willingness to engage others, more access to hopefulness suddenly in the center of things. Can you recount a specific use or circumstance in which you saw Narrative Therapy truly support the individual in a profound way? There are countless examples of people profoundly redirecting the course of their lives through successful therapy, be it Narrative or any other approach. This happens far more often than people unfamiliar with the therapeutic process realize: violent men learning to operate outside their violence; sexually abused women reclaiming their power and sexuality; young victims of school bullying – and the bullies themselves – changing their attitudes and behaviors; people successfully reclaiming their lives after being raised in a fundamentalist community. The list goes on. What does Narrative Therapy mean when it talks about “re-authoring” life stories? How does this work? Re-authoring begins when a client notices a “unique outcome” to what Narrative calls the problem-saturated narrative. Yes, a person’s sense of hopelessness may be leading to suicidal thoughts, but is this happening all the time? Are there significant environments or situations when this doesn’t occur? Why is that? If times when the client doesn’t feel suicidal are explored skillfully, the alternative story can be thickened. You begin simply and straightforwardly, under a broad umbrella of “What’s unique in the alternative story?”. When the client starts to discover his initiative, starts to recognize ways he’s shown agency in that story, you spend a lot of time “loitering” in that unique outcome. I’m oversimplifying in my description, so think of it this way: it’s like character development in a good novel. That sounds simple on the surface of things, but think about a book you’ve read by someone like Margaret Atwood, Salman Rushdie, Barbara Kingsolver or Wallace Stegner. Then you’ll appreciate the exquisite texture and nuance that can be discovered inside the multiple story lines of a person. That discovery is an active, alive process: in Narrative, we talk about the therapist consciously asking questions inside both the “landscape of consciousness” (what the client feels and thinks about) and the “landscape of action” (what he does in the world). It’s similar to writing a rough draft of a story, only instead of making it up, you’re pulling out events, thoughts, emotions and perceptions that have actually taken place. You’re reconsidering – client and therapist together – the implications, how the story may have exerted an influence the client wasn’t aware of at the time, what undiscovered themes might lie buried inside the client’s stories. Often the client recalls seemingly “insignificant” events that actually affected his decisions about his life in major ways. Sometimes he imagines the story forward, into the future, and gets a better handle on why he’s feeling,thinking, and acting the way he is. Re-authoring sometimes leads to the client and therapist deciding together to bring people critical to a developing story line into the actual therapy session. Narrative has a very effective means of utilizing outside perspectives based on techniques White, Epston, and others developed which have their origins in anthropology: “definitional ceremonies” which highlight our communitarian nature, not just our individualism. The perspectives of outside people can illuminate things neither the client nor the therapist have considered: similar to when an author changes voice in his novel and views the protagonist or other characters from the viewpoint of a child, or from an adversary. How do you see Narrative Therapy creating long term change in the individuals you work with? Once a client recognizes how socially constructed her life is, how there are no absolute truths out there that will provide an operations manual for her actions, she can step into her life much more fully. She’s likely to be more willing to question and face what’s not working in her employment situation, in her family, or in her community activities. She recognizes that however “bad” a story line may seem, she has the capacity to re-author it, often in concert with other principals in her story landscape. How has your work with Narrative Therapy changed your own perceptions of experiences you have had in your own life? There are a number of ways this has happened. One obvious one is that I seldom assume that I know the “complete story” when I experience something affecting my life, either in a positive or negative way. I’m much better at not jumping to conclusions than I used to be. So, for example, when a shopkeeper is rude to me, I’ll usually pause to consider whether her behavior reflects just the moment at hand, or perhaps a context I can’t see. That doesn’t mean I’ll sit and “take” abusive behavior – far from it. But I will give people a lot more benefit of the doubt than I did before I understood the basic principles of Narrative. Another impact on my life has been a deepened respect for story itself: seeing life as a series of unfolding, intersecting, yet-to-happen stories that I can influence has made me more inclined to engage creatively with my surroundings. I’m much more aware of the role other people play in shaping who I am: a great antidote to the temptations we all face of seeing ourselves as the center of the universe! Finally I’d say that Narrative, ironically, has given me a sense of limitation. In the frontier mentality so dominant in our culture, we’re more likely to get excited about endless possibility than about limitation and restraint. But I think focusing on one to the exclusion of the other is a mistake. An example of this is how the new age fundamentalist notion of “creating your reality” can totally dominate, and distort, a person’s perspective. Of course it’s true that a person can do a lot of things to influence his world and the wider one he lives in…. but not all of it, and not all the time. If a person gets absolutist about the notion of creating reality, he not only loses track of the power of limitation, he robs life of its’ mysterious, unpredictable nature. He’s also much more susceptible to inflation, and self-centered behavior. A good way to understand the power of limitation might be to ask a good visual artist about frames. Not just the ones she puts around a finished painting, for example, but the ways she may confine her work to certain ranges of colors, materials, etc. Choosing to confine aspects of the creative process can really help to focus the work and unlock creativity. In everyday life, recognizing and honoring limitation has a way of drawing out humility, a quality sorely lacking in our current national discourse. Studying and practicing Narrative has given me a much better appreciation of how this works in my life, and in the lives of others. Greg, will you please talk about your specific job / responsibility as a Narrative practitioner? My first responsibility is to create a safe, respectful atmosphere. That begins with the assurance of confidentiality, but isn’t limited to that. Safety is deepened when there is a strong connection between the client and myself, so I do what I can not just to take in her presence but to be as authentic as possible in what I say and do in the session. The next responsibility I have is to ensure that the direction of the therapeutic exploration is determined by the client. All the skillful questions and insights in the world are for naught if the therapy session focuses on my expert knowledge rather than the lived experience of the client. I’d go so far as to say that anyone seeking an expert to lay out answers to his problems shouldn’t come to me as a therapist. My next responsibility is to notice and encourage moments of initiative: times when the client is moving his life in a preferred direction. In Narrative we call these sparkling moments. Once that happens, my responsibility shifts to bringing a broader awareness to these moments and working with the client to understand the impact of whatever narrative is emerging. When considering your move to Ashland, what were some of the qualities that you most appreciated about the community? My wife Sahni and I really enjoy Ashland – so much going on relative to the size of the population! Simple things like all the wonderful places to walk, the abundant cultural options relative to the town’s size, and the warm welcome we’ve received from the majority of people we’ve encountered. It’s a real joy to be here. You now have a new practice in Ashland, will you tell us a little bit about this? I’m seeing individuals, couples and families in my private practice, and people can book appointments by calling the number below or writing me an e-mail. Professional health practitioners (not just counsellors) wishing to know more about Narrative are invited to attend my March 29, 2013 Ashland workshop; you can register for that by e-mailing me. I’m also available to visit local health clinics (medical, massage, hospice, chiropractic, physical therapy, “mixed” clinics) in the area and talk with practitioners who may have people they wish to refer to therapy but who are uncertain how Narrative Therapy might apply to the folks they would refer. In Australia, I spent time working with doctors, surgeons and nurses at a public hospital I was employed at in understanding how Narrative principles apply to healing relationships, communication processes, and the grief that comes when patients die. That’s something I’d be keen to do here if there was an interest. I also apply narrative practices to organizations that aren’t focused on healing: narrative facilitative approaches, for instance, that can help people organize themselves in ways that are respectful, inclusive, and more willing to have constructive conflict. That’s relevant to activist groups, schools, and other organizations. Qualities that build a healthy organization always surface when the time is taken to explore the tapestry of individual and contextual stories that shape organization interactions. I’d like to share something Narrative taught me that I think would be a useful attitude to try on for anyone considering therapy. Whatever you might be struggling with, in the long run the metaphor of reclaiming your life is a much more powerful one for getting you back on track than the metaphor of eliminating the problem. And to wish everyone seeking to do so every success!